Mid-Peninsula voters fired an extraordinary number of city council incumbents in the Nov. 6 election. By my count, at least five of the 14 incumbents running in the cities covered by the Post lost their jobs. The number might grow to seven depending on the final results in Los Altos in Mountain View. We haven’t had that many incumbents defeated in city council elections around here for at least 10 years, and probably longer. • And Donna Rutherford in East Palo Alto. A sixth incumbent who is in danger of losing his job is Jean Mordo in Los Altos. At last check (Wednesday, Nov. 15), he was in third place in a race for two seats on the council. The top two candidates are Neysa Filgor with 8,009 votes and Anita Enander with 4,921. Mordo, with 4,841 votes, is 80 votes behind Enander. In Mountain View, it also looked as if Pat Showalter had lost her re-election bid on Election Night. But as the vote-counting continues, she has moved up to the third spot in that race for three seats on council. 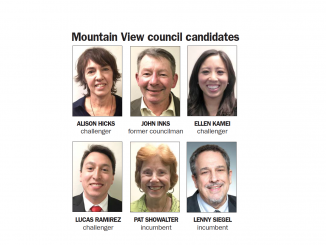 However, more ballots still need to be counted, so the outcome in the Los Altos and Mountain View races could change. In the past 10 years, 72 city council incumbents have run (not including races that were canceled because the same number of candidates entered as the number of seats available). And 67 of the 72 incumbents won re-election while only five lost. In other words, before this year, 93% of city council incumbents have won re-election. This year, the odds that an incumbent would win were significantly lower — 57% if Mordo loses but Showalter survives. If they both lose, the odds were 50%. There are particular reasons why individual candidates lost, of course. For instance, Kirsten Keith’s hopes dimmed after the news broke about her free trips to China. The massive influx of RVs into Mountain View pretty much doomed Lenny Siegel, who wanted to find ways to accommodate them. But if you’re looking for overall trends, a good place to start are the surveys each city does at the beginning of the year to measure the satisfaction of residents. 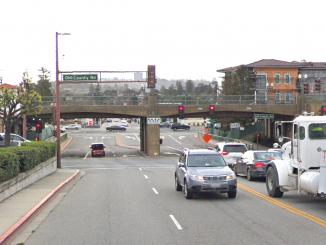 In separate surveys conducted in Palo Alto, Redwood City and Los Altos, residents listed traffic congestion, a lack of affordable housing and regulating commercial development as their top three concerns. There were some variations, however. In San Carlos, the top three were development followed by parking and traffic. The message from this election to local officials is that you’ve got to start solving problems. It’s not good enough to say that you’ve created a committee, or that you’ve come up with a new plan or policy. You’ve actually got to get something done. As dissatisfaction grows, I think incumbents will be increasingly measured by their accomplishments, not double talk. 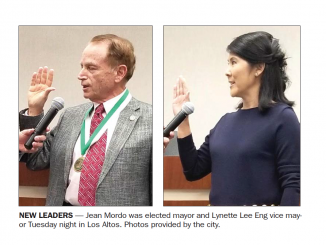 Palo Alto Councilman Adrian Fine made an interesting observation at the Nov. 5 council meeting. He pointed out that between 60 and 70 new housing units will be built this year in Palo Alto, while roughly the same number will disappear when the President Hotel is converted from apartments to a hotel. “So we’re at net zero,” Fine said. Incumbents are going to have to do better than “net zero” if they want to get re-elected in two years. 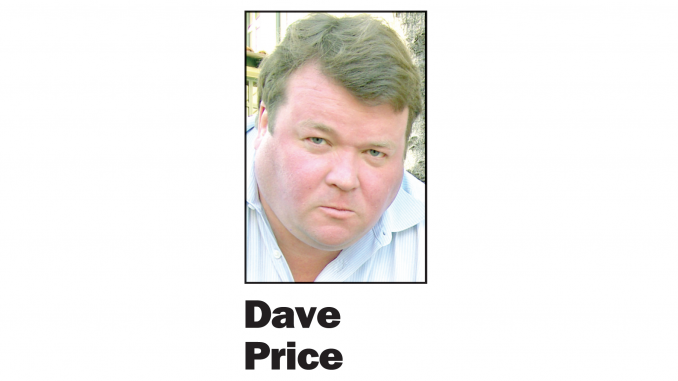 Editor Dave Price’s column appears on Mondays. His email address is price@padailypost.com. I agree completely. People elect the city council, not the companies who have had carte blanche for so long. For some reason, councils believe it’s their job to improve the “local economy”. Well, the economy is fine. The people are not. Quality of life has dropped so much that many are leaving the BA. While current homeowners are fortunate that their homes are so highly priced, and can sell and move elsewhere, EVERYONE ELSE is suffering with rents and traffic. Quality of life —- a broad term that includes the cost of living, housing availability, traffic, noise, street and sidewalk maintence —- has been going down. Hopefully this excellent analysis will focus council members on improving our community and not becoming distracted with the latest “cause” or political movement. We deserve more from those we elect. People are dissatisfied with the status quo.